The Diploma in EEE also called as Diploma in Electrical and electronics engineering by distance education mode is a course that teaches students the nitty gritty about electrical and electronic circuits and their working. Graduates from this program invariably get entry level technical jobs in IT companies, manufacturing companies, semiconductor factories, etc. Future prospects for diploma holders from this industry are very bright with new technology being discovered everyday and new requirements for people coming up almost every minute. A graduate from this field is required to work in the developing, supervising, designing, testing and production of electrical and electronic machinery and equipments. This course equips students with in-depth knowledge about the make, working and maintenance of various electrical and electronic circuits in various technological devices. 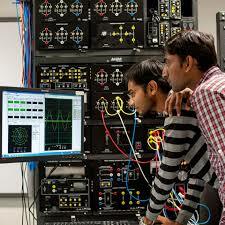 NIMT - Neptune Institute of Management and Technology offer Diploma program in Electrical and Electronics Engineering through Distance Education mode.